The weed’s been ordered, three of the four retail outlets are ready for customers, and the online operation has been tested and retested. The weed's been ordered, three of the four retail outlets are ready for customers, and the online operation has been tested and retested. As the date for the legalization of cannabis comes closer, P.E.I. Cannabis Management Corp. says it's as ready as it can be. 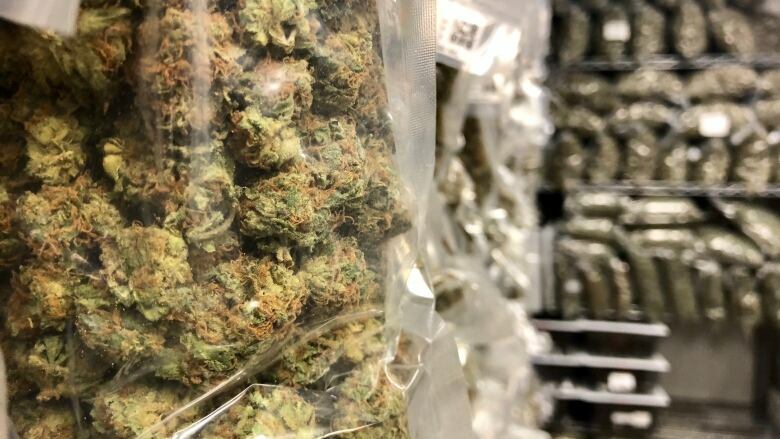 CBC spoke with Zach Currie, director of cannabis operations, about what Islanders can expect. Because the O'Leary store won't be ready by the Oct. 17 legalization date, extra staff will be on hand to help handle higher than normal volumes expected at the Summerside location, the next nearest store. "We will have the staff that was essentially earmarked to begin at the O'Leary store for Oct. 17 at the Summerside store," Currie said. The other retail stores are in Charlottetown and Montague. Should is the key word. Currie said they have forecasted supply numbers — he just hopes they won't be too far off. "We have a good idea of what to anticipate and we feel as though our supply that we'll have in place will allow us to get through the first number of weeks. It's all about constant communication with our supplier partners to keep product coming in and avoid stock-outs where possible." Cannabis retail staff recently completed a robust, three-week training program. Currie said they'll be able to consult with customers, and help them find the right product for their needs. The online store will be similar to other retail outlets, Currie said. You'll be able to add items to your "cart," go to the checkout page and pay with a credit card. But you won't be able to purchase more than the legal limit. "There are things built into the system to disallow you from being able to purchase in excess of 30 grams dried cannabis equivalency. We don't want to set anybody up for breaking the law if they have to receive this package at a pickup location and then drive home." Though you will be asked to verify your age on the store website, the proof will be at the delivery stage. The delivery provider, Purolator, has a proof-of-age verification process and they will also require an adult signature upon delivery, Currie said. "The individual receiving the order will not be able to be a minor." If no adult is home at the time of delivery, the customer can pick it up at a terminal drop-off location or arrange for redelivery. Currie said the standard target for delivery is two days from the time of purchase.